Endemic to Sulawesi . 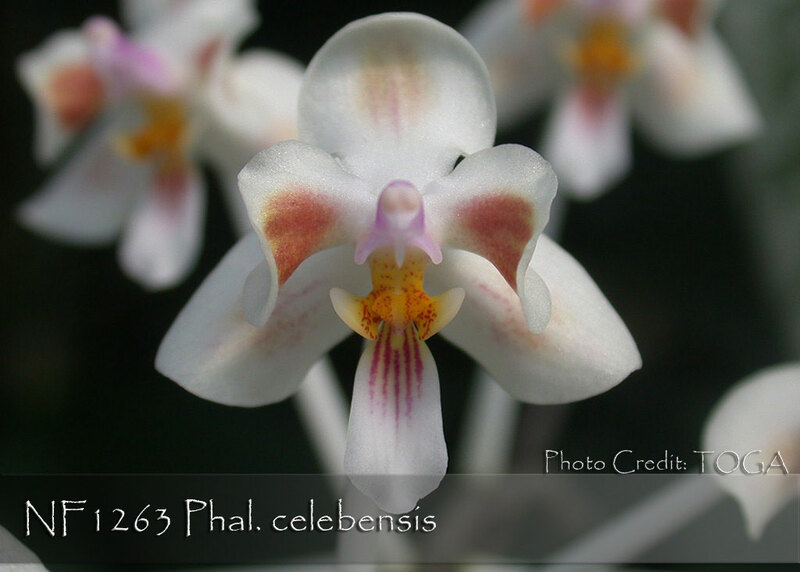 One of the most coveted of all the small flowered Phalaenopsis species. Beautifully marbled leaves produce delightful "peloric" small white flowers, their petals mimicking the boldly marked lip and displaying a central cinnamon-brown suffusion of barring. Despite its miniature size, this species produces multitudes of flowers on gently arching spikes. It's tall inflorescences can literally be covered with successively opening semi-peloric flowers all presented on a gracefully cascadding display. Not often available, this is a "must have" for any species collection.